Anyone need a good book for teenage boys? That’s inspiring, short, and hilarious? If so, you’re in luck. 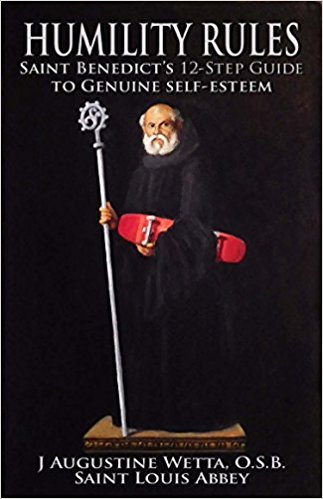 Ignatius Press has just the thing: Humility Rules: Saint Benedict’s 12-Step Guide to Genuine Self-Esteem by Brother J. Augustine Wetta. Recently a friend of mine gave this book to me, and I read it in a day or two. 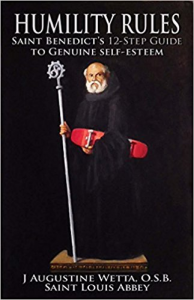 It’s set up in 12 “steps” and offers practical advice after the fashion of St. Benedict’s Rule. It’s good for anyone to read, but the reason why I emphasize teenage boys is because Wetta is a monk, a high school teacher, and a rugby coach. Furthermore, he’s got a great sense of humor, used to professionally juggle, and loves surfing. He’s a manly man–perfect for teenage boys. Then Brother Luke went back to sleep. Wetta was taken aback. What simple, but profound advice!